The three Khans that rule the Hindi film industry are pretty clear about their stance on award shows. 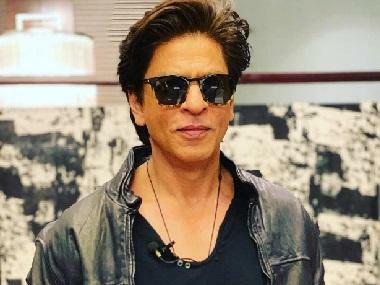 Shah Rukh Khan is an awards show favourite given that he has won the maximum number of Filmfare Awards after Dilip Kumar and has also performed at and hosted multiple award functions. On the other hand, Aamir Khan has boycotted award shows for years as the last award show he was spotted at was at the Academy Awards in 2002 when his maiden production, Ashutosh Gowariker's period drama Lagaan, was nominated in the Best Foreign Film category. 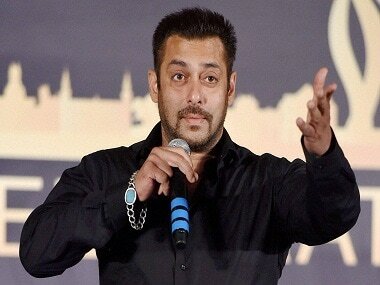 But it is Salman Khan who has maintained a moderate stance on the issue. While he does participate in all the glitz and glamour that the extravaganzas entail, he does not receive awards if he wins them. "I believe in rewards," he says. This approach proves that he does not take life too seriously and attends the award shows on his own terms. This was reflected very well while he was promoting IIFA Awards 2017 during a global video conference in Mumbai, along with Katrina Kaif and Alia Bhatt. Since the grand event is taking place in the New York City this July, the organisers had arranged for a video conference of the stars with journalists from all across the globe, including Houston, Chicago, New York City, Dubai and London. While Salman started off with the regular PR-briefed answers to questions by the global media, he began becoming impatient when the journalists started repeating their questions. Since they were unaware of the questions already asked by journalists from the other cities, they kept it simple by asking the basic questions - all over again. Kaif and Bhatt, being the thorough professionals they are, stuck to answering the repetitive questions, sporting smiling faces while braving the day long exhaustion. However, Salman, being the transparent celebrity he is, left everyone in splits one question at a time. From jovially interrupting a journalist's question by complimenting her physical features to making the entire conference hall sing 'Happy Birthday' after Katrina Kaif revealed that the IIFA Awards will air on her birthday on 16 July, Salman was at his entertaining best. There were times when he went overboard or stooped down to lame levels but that only proved that he has no filters. Or even if he has any, he does not mind putting them away when he is in a mischievous mood. For example, when he was asked to sing 'The Radio Song' from his upcoming film, Kabir Khan's period drama Tubelight, by a journalist in the first round of questions, he refrained from doing so. "Whenever I have sung in a film, I just record the song in two to three hours. 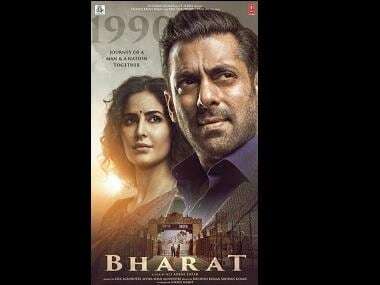 Then the technical team works on it for two to three days to make it sound like good," said Salman. "It's a good story," the journalist replied, nodding. "It's a true story," said Salman, stressing on the third word. But a few minutes and dozens of questions later, the reserved Salman just needed an inadvertent sign to break into a song. When a journalist realised that Salman was not paying attention to his question while sipping on his tea, he passed off a snarky comment on the superstar asking him if he needed another cup of tea. But Salman, instead of returning the favour, started singing his popular song 'Ek Garam Chai Ke Pyali Ho' and pointing to the ladies (read: Kaif and Bhatt) besides him as he continued to sing, 'koi usko pilane wali ho'. He also broke into Madhuri Dixit's iconic song 'Ek Do Teen' when a journalist asked him what new the IIFA Awards would offer this year. After counting up to thirteen in Madhuri fashion, he said, "Terah tak toh theek hai but agar kuch 18 saal chale na toh wo sirf demand par hi ho sakta hai" (If an award show pulls off a show for its eighteenth year in a row, then that implies that audience have kept it going). In fact, that was the question that challenged Salman's patience the most. "Any message to our fans on why they should attend IIFA?" Initially, he listed down the line up of performances to entice the prospective audience - Katrina, Alia, Sushant Singh Rajput, Kriti Sanon, Shahid Kapoor and him. But when that question became a recurring feature of the conference, he blurted out answers that he truly believed in. "If you are invited for dinner at a friend's place, do you ask for the menu? No, you just go with the impression that you will have a good time. So, come for IIFA because I will make sure that you have a great time," he said. But when that question was aimed at him for the umpteenth time, he snapped back. "Do me a favour, do not come for the IIFA Awards," he said, as the IIFA organisers looked at each other skeptically in the background. But seconds later, he grabbed hold of the microphone and added, "You ask me what is there at IIFA, then I will spell it out for you. Isn't it better that we just stop talking, you come for the event and we have the best time of our lives there?" And with his signature charm, that veils the childlike innocence within him, he proved yet again how there is no bible for promotions. One does not need to sell an idea by just talking about it. The more effective way is to demonstrate the kind of fun that the target group will get to experience at the IIFA Awards. And with Salman as the star attraction, the IIFA Awards 2017 are all set to be fun but not necessarily frivolous.